Nigerian Communication Satellite (NigComSat) will procure two satellites from China for local and additional African markets. Communication Minister Adebayo Shittu told the Nigerian State House correspondents this news after a meeting with President Muhammadu Buhari at the Presidential Villa, Abuja. According to Shittu, the China EXIM Bank will pay the nation’s counterpart funding for the satellites. The construction of the satellites will take two years and will start immediately after the necessary papers have been signed by both parties. Asked if the $550 million was a loan, the minister said such was not the case, adding that it will be the equity participation of the Chinese company into the satellite business. NICOMSAT is a limited liability company owned entirely by the Federal Government and the Chinese are paying to finance these highly required facilities as all agree on the percentage sharing. Of course, Nigeria has nothing to lose because the nation is not putting anything into this project in terms of financial resources. On the President’s reaction to his presentation, Shittu added that the President was excited and was not surprised, as the Chinese are going to market this satellite as well as to the entire African continent. Also, perhaps by legislation, all Nigerian entities must patronize the Nigerian satellite company rather than going to Israel, UK, or the U.S. for satellite services. Actors in the smallsat industries will be a substantial portion of the information concentration at the upcoming SmallSat Symposium that will be occurring from February 3 to 5 in Silicon Valley, California. 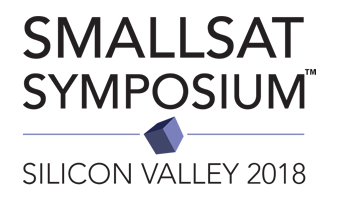 For information on this major event as well as registration details, please visit https://smallsatshow.com.